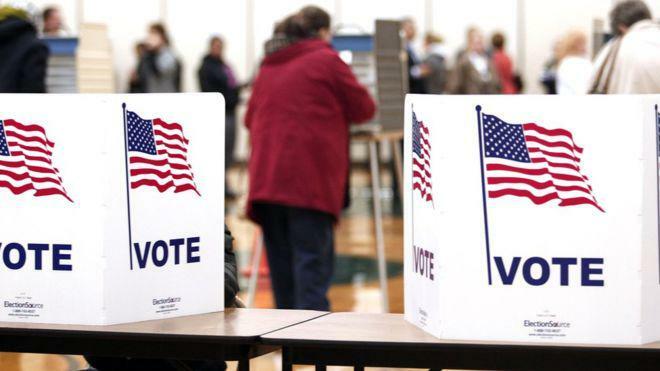 GPB's Rickey Bevington speaks with GPB reporter Stephen Fowler about the issues facing several statewide offices ahead of the May 22 primary election. RICKEY BEVINGTON: Let's start with the governor's race. There are five Republican candidates and two Democrats looking to replace term-limited Republican Gov. Nathan Deal. What will the winner be walking into as Georgia's next governor? STEPHEN FOWLER: What they're walking into is a record-setting $26 billion state budget. Nearly $10 billion of those dollars goes toward the first fully-funded education budget for the first time in more than a decade. They’re also walking into a state that spends tens of millions of dollars less on criminal justice thanks to Deal's reforms aimed at keeping only the most violent offenders behind bars. But there are a few problems on the horizon. The new governor will deal with an opioid crisis that killed more than 900 people in 2016, a potential deal that could bring 50,000 jobs and the new Amazon headquarters (or the fallout if that doesn't happen), 13 metro Atlanta counties that are looking to expand public transportation... and the list goes on. Our next governor will also preside over a state that has more people and is older. The population is estimated to be about 10.5 million people, and that's nearly a million more people since 2010. The percentage of older Georgians has increased as well. BEVINGTON: One thing, Stephen, that has not changed since Governor Deal took office is the state's election infrastructure. How is the new secretary of state going to update how we vote? FOWLER: You're absolutely right it hasn’t changed. And it's not minor upgrades. The legislature is mandating the secretary of state essentially create a whole new system. It's because the system we have now is 16 years old. The operating system it runs on is even older than that, and there's no paper backups of our election system. What that means is if something is hacked or if something breaks or something happens there's no record of what your vote actually is. All the candidates for secretary of state agree that things need to be changed, but how it should be changed is a little bit different. Some of them say it should be paper and pen written, while some of them say there should be optical scanners scanning a handwritten ballot. Others say you should get a printout of what your vote is so you can double check to make sure that that's who you voted for. BEVINGTON: Finally, what are some of the other important statewide races that will have a big challenge waiting for the next officeholder? FOWLER: Well, I'm going to say that all of the races, since they're all important. They're on the ballot, so it's important. But one of the things that jumps to the front of the mind is the Public Service Commission. It's been under increased scrutiny, there are some new challengers for this kind of lower-profile office. And it's because they oversee two new nuclear reactors that are being built near Augusta, and they oversee who pays for it, which if you're a Georgia Power customer that's $100 a year of your money going to pay for it. They also cap the rates for how much Georgia Power can make from it. So if Georgia Power earns more money, that goes back to you, the Georgia Power customer, as a refund. And right now this year it's about $70 worth of refunds from the power bill. That's also a project that's $4 billion over budget and four years behind schedule, so you know it's an important position. And just today, the Southern Company announced that they're selling $5 billion worth of their assets to help cover the cost of this project. And that's the Public Service Commission that oversees it. The state school superintendent is another position. As I mentioned before, outgoing Gov. Nathan Deal fully funded the state's education budget. So, there's a lot more money for somebody to oversee. And in the wake of recent school shootings like Parkland and Santa Fe, Texas, just last week, school safety is a big issue. So that state school superintendent is going to provide guidance and oversight as to how individual schools and districts will handle gun safety and things like that. But the most important thing I can say is, if you haven't done so already just do the research of what's on the ballot. It impacts your daily life!